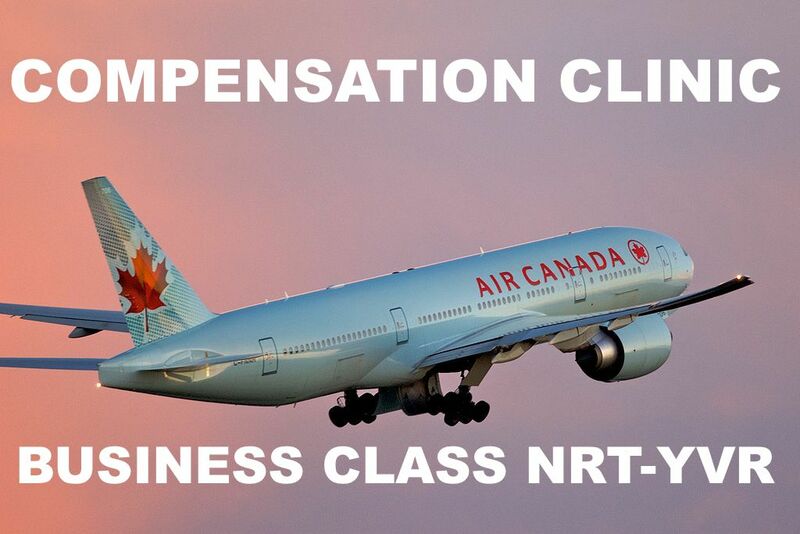 Compensation Clinic: Air Canada Business Class Flight Tokyo-Vancouver, Onboard Issues! Our Compensation Clinic this week is about an experience on Air Canada Business Class I had a couple months ago and about which I complained to their customer relations department. Air Canada is usually a difficult case to extract any compensation from and in this case I also had to involve the U.S. DOT for them to even reply. The entire issue began when I received a rebooking from ANA to Air Canada in Tokyo due to a mis-connect and I was offered an alternative flight. I should have known better before accepting Air Canada as an alternative and better asked for JAL or waited another day to take the next ANA flight. On board I was the last passenger asked for a meal choice and by then only seafood options were available. I mentioned that I don’t eat seafood (on the plane) and the flight attendant started to argue with me. I informed her that if this is an issue please let me leave the aircraft as I can ask ANA to change my ticket to the later NH flight. The lady left and didn’t come back until the door closed and the plane left the gate. I escalated the discussion to the purser who than carried out the service for my section and sent the original flight attendant away to another section of the aircraft. Upon arrival in Vancouver my jacket was missing and it took over 10 minutes to locate it y which almost the entire plane had disembarked which of course means the lineup at immigration was much longer. When I finally got it back it had a large wet stain. I suspect the clothing item wasn’t actually missing but one of the staff stained it and tried unsuccessfully to remove it. I had to have it cleaned in Vancouver at a cost of $26 the same day. I informed Air Canada about this and nothing happened for 3 weeks. I then involved the Department of Transportation and filed a consumer complaint. Thank you for writing about your experience with us. We are really sorry for disappointing you. We know our customers expect to arrive on time and enjoy a comfortable flight, while also being provided exceptional customer service during all interactions with us. From what you’ve described, we can understand why you wanted to contact us. Your comments have been shared with our management team for their internal review and to help us improve our services going forward. We appreciate you taking the time to write as your feedback gives us the chance to improve. As a goodwill gesture, we would like to offer you a one-time discount of 25% off the base fare on your next booking at aircanada.com. Below, we have provided your Promotion Code and instructions on how to receive your discount. We hope to have the opportunity to welcome you on board in the future. The 25% Discount Code Air Canada offered is actually somewhat useful when booking Premium Economy or Business Class fares which are currently quite affordable ex Asia to North America with Premium Economy available for roughly $1,200 and Business Class $2,300 round trip. The 25% discount provided quite substantial savings of at least $300 so I was satisfied with the outcome because the codes can be used on code share flights as well, opposite to similar discounts United provides. Air Canada has never been very responsive to customer complaints which is likely the result of the arrogance when you have a monopoly in transportation in a country such as it is the case in Canada. Their prices are ridiculous and so is their attitude both on the ground and in the air. The Business Class flight from Vancouver to Taipei I had last week was actually surprisingly good, however the Premium Economy TPE-YVR was also horrible as far as the crew was concerned. Overall it’s very hard to justify spending lots of money on Air Canada, roughly around $2000 is the maximum a premium ticket is worth on them. Next articleReader Question: Has Marriott Made SPG Best Rate Guarantee Useless?